A little more than three months after the rapprochement between Ethiopia and Eritrea, I find my self in Mekelle, on the occasion of the 20th International Conference of Ethiopian Studies where I present a – suddenly very topical – paper on the importance of territory in understanding Eritrean foreign policy. It is the first time I am in fact in Tigray, that part of Northern Ethiopia that borders Eritrea and whose borders with Eritrea have been a key focal point of the 1998-2000 war, since 1997. 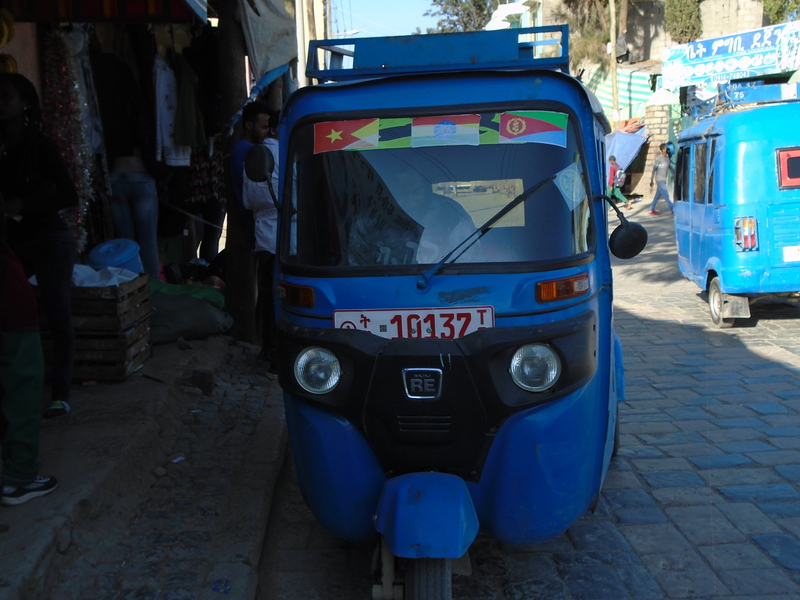 Then, I entered Tigray from Eritrea and have rather mixed memories as I have written about elsewhere. But this time everything is different. Not only is Mekelle a charming and truly welcoming city, full of energy and energetic young people (even if many of them may be unemployed), and a lot of ‘development’ going on. One also runs into the fact that the border with Eritrea is really open at every street corner. what he saw but was surprised about the lack of development. The road was in a very destroyed state on the Eritrean side – quite logically, as this was no-man’s land until very recently – but also overall so many things seemed to be lacking materially. ‘Eritrea is not sweet’ was his overall verdict, meaning it seemed a place where life was difficult and people seemed to carry some invisible heavy burden with them. In many ways, this seemed a good way to put it. I was reminded of a conversation I had with other Ethiopian youth about two years ago in Gondar, also at a local coffee place. They were all students of tourism at one of the many local and regional universities that have sprung up all over Ethiopia. They spoke good English and were excited about the prospect of one day maybe starting their own tourism agency and show foreigners their beautiful country. At the time I thought if these youth were born in Eritrea, they would now in all likelihood do their national service, or if they were lucky enough to have been admitted to higher education, would have been assigned a subject and be drafted to complete their service afterwards, with a vague ending somewhere in a future that feels to distant to dream about. Here in Ethiopia, youth can go to college and study something they fancy – and while the tourism ventures of my acquaintances might never come to fruition, these youth had a lightness about them that is hard to find in Eritrea. The phrase ‘Eritrea is not sweet’ sumps up part of this state-of-being very well, even if ushered by somebody who only spent a few hours there. I am also reminded of this gravity that seems to have hung over Eritrea for far too long to remember anything different at the TPLF memorial and museum in Mekelle. As in all these memorial sites in Ethiopia, a comprehensive documentation with photographs from the time fighting against the Derg regime is being displayed – including some pictures from the time when TPLF forces helped the EPLF during a Derg offensive in Sahel – but that is another story. What struck me was one billboard that simply showed joyful TPLF fighters as couples, and most strikingly a couple with a new-born baby in the field. They looked happy and joyful like any other family that just had a child born – and the joy that the picture radiated was quite infectious. It is hard to imagine any EPLF museum every displaying pictures of such a nature, where the lightness of life overtakes struggle and sacrifice even if just for a brief moment (but I am ready to be wronged if a similar kind of museum should be created at any point in the future in Eritrea). But let’s turn back to the present, and one can encounter numerous Eritreans in Mekelle in various states of happiness and disbelief combined. 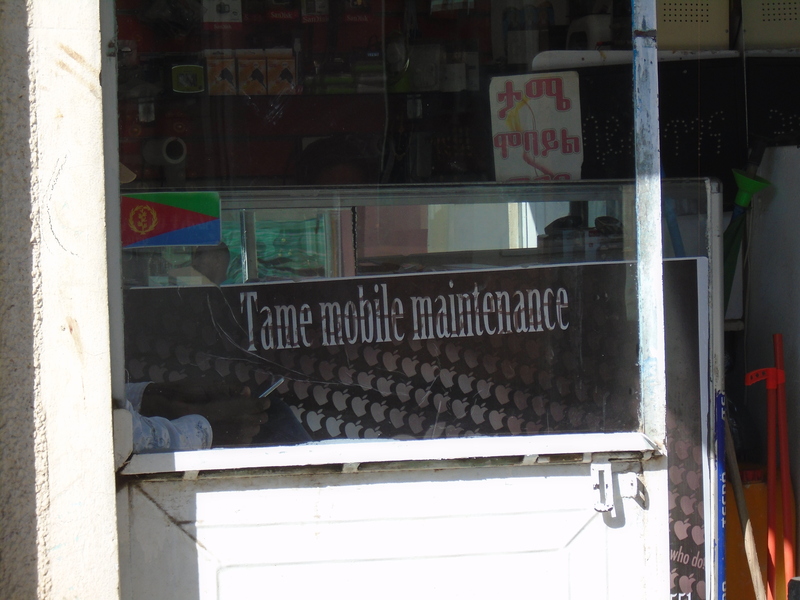 There is the young Eritrean woman who excitedly speaks into her mobile phone to somebody in Asmara, taking orders of all the things she is to buy in Mekelle and bring back home with her. There is the Eritrean man who enters one of the newer nice hotels in town and says the government must have a lot of money here to afford such a nice building, only to stare in disbelief when the receptionist tells him the hotel is in fact privately owned. Some groups of young men arrive and the first thing they do is get drunk on beer – simply because ‘you can drink ten beer or more, there is no limit’, while in Eritrea most bars run out of beer relatively early in the evening if beer is available at all. Then one can see Eritreans simply driving around town with their video cameras, filming all the construction sites and the new buildings that have sprung up with a sense of amazement. Others simply arrive at hotels and pay up front for a month or more to stay and try during that time to get a visa to a destination abroad, preferably Europe or the US, via some family they have in the diaspora. It is a coming and going, thus far good-natured and with a stake for both sides. There is the local Tigrayan businessman who is on the phone to somebody in Keren in Eritrea, getting a run down of the local cost of goods needed for construction, making a note and pondering how best to sell his bags of cements and other items to his customers there. In the other direction some fancy electronic devises make their way from Eritrea to Mekelle to be sold here, as do fashionable clothes and used shoes – a new used shoe market run by Eritreans exists in a part of town. Thus far all is quite ad-hoc and unregulated, but this will of course not be the case forever. Fittingly, while still in Mekelle getting a glimpse of some of the dynamics that the border opening has created, a piece I wrote for the Horn of Africa Bulletin as a first stab at thinking what it may mean for the future finally came out – more than six weeks since it had been written, but still valid not last in concern over the lack of institutionalisation of the ties between both countries, concerning trade and other areas. 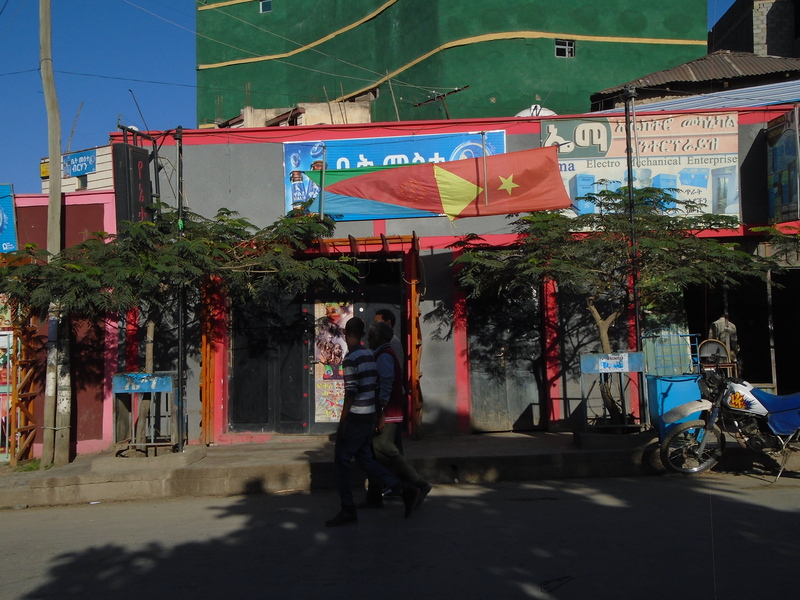 On the streets of Mekelle, one can change Nakfa for Birr but ‘Nakfa is very expensive’, as one of the money changers says (180 Birr to 100 Nakfa on 5 October on the street). Too easily it seems to be forgotten that grievances around the fact that the Nakfa-Birr exchange rate, once Eritrea introduced its own currency in 1997, was then seen as predominately advantageous to Eritrea, a feeling that fed into the grievances that eventually led to all-out war. For now, it might indeed be the time to simply embrace the peace agreement and celebrate to hear so many Eritrean voices on the streets of Mekelle. 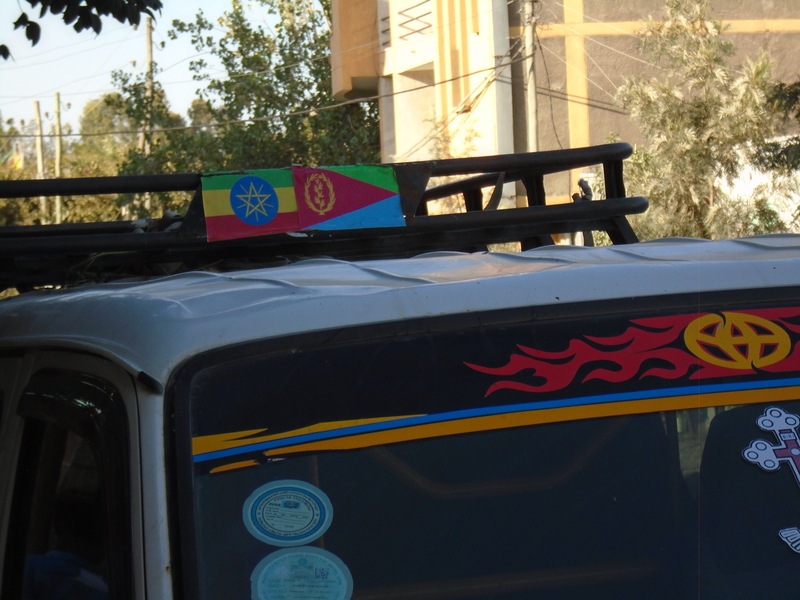 Time to celebrate the sliver of new found optimism among the Eritreans who visit Mekelle, stock up on items they find hard to get in Eritrea, and return. But eventually a clearer roadmap for the future for people on both sides of the border will be needed.